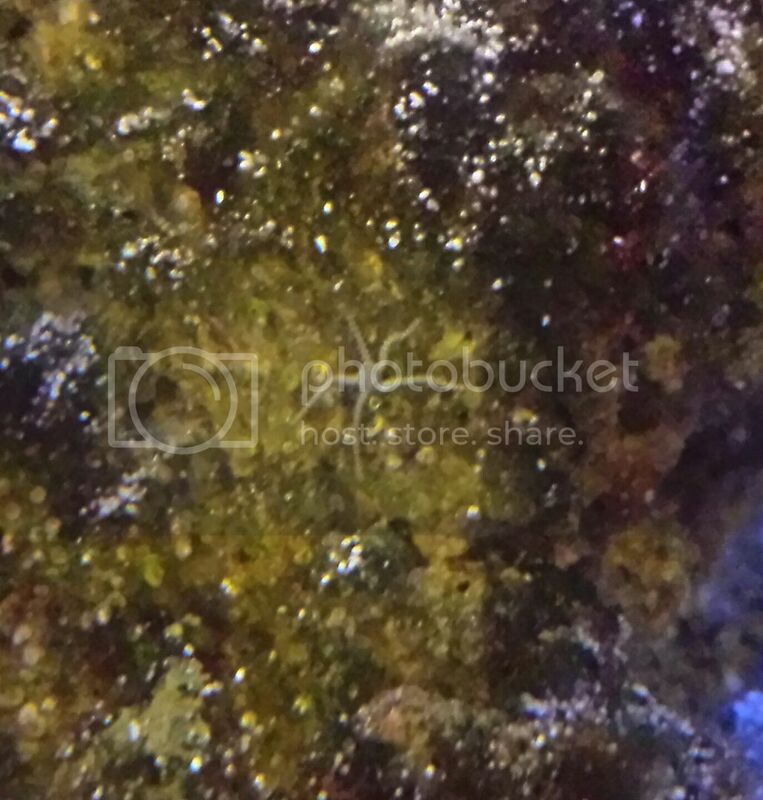 With just one small 1 lb piece added to my tank I got so many cool things..... A few brittle stars that came out at night, two white anenomes, feather dusters, a sponge, a barnacle, lots of pods and I'm sure a few more. The thing I loved the most was when I woke up one night and saw a star stuck on the glass for the first time, now that was cool. I also really enjoyed watching that 1 live piece "seed" the others having things start growing on them. El Scorpio wrote: Oh, I've had brittle stars, a gorgeous red mushroom, a rather unique looking aiptasia that my fiance forbid me from smiting, bristle worms, a couple of polyps, sponge, and other critters I couldn't even begin to identify. Thats awesome! I'm pumped to get started! That sounds amazing! Did you buy some dry/artificial rock or make some DIY rock yourself? 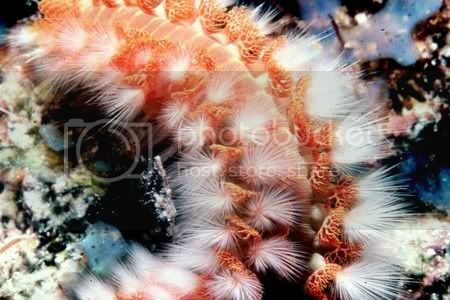 dma1976 wrote: With just one small 1 lb piece added to my tank I got so many cool things..... A few brittle stars that came out at night, two white anenomes, feather dusters, a sponge, a barnacle, lots of pods and I'm sure a few more. The thing I loved the most was when I woke up one night and saw a star stuck on the glass for the first time, now that was cool. I also really enjoyed watching that 1 live piece "seed" the others having things start growing on them. Sometimes, when you reach down deep into the live rock bin at the LFS, you feel something grab your finger. It can be quite startling. El Scorpio wrote: Sometimes, when you reach down deep into the live rock bin at the LFS, you feel something grab your finger. It can be quite startling. Ha! I might have to bring my gloves from now on! I actually just had my old formally bleached coral pieces in there as I was using that before and the feather dusters started growin on them! The plan was to put base rock in there and more live rock when I moved it to the other room. The plan for the new tank is base rock and live rock with fresh sand. Kind of excited to start fresh! I hope someone develops and sells cheap DIY live rock soon. There's gotta be a killing to be made and not much room for error in selling lightweight, oddly shaped, porous rock to enthused hobbyists who care about the wild reef environment. There are videos online, and actually i thought you posted a link to it but i could be wrong, of making diy live rock with cement mixed with crushed oystershells pressed into sand molds lines with rocksalt. The results were pretty good. But getting the rock seeded does take a while. Yeah that was me I'm giving it a go this year! So i finally got a full pic of one of the micro stars. But all the time I spent trying to get this pic I found a couple 4"+ plus bristles. I didnt mind these guys when they are small but they get creepy when the're big IMO. Awesome, Welch! Thanks for getting that!